Important and Rare Art held 14 August, 2018, comprised of 98 works of both historical and contemporary, from a number of private collections, most notably works from Auckland's Chunn Family Collection. Lot 1 by Don Binney, a screen print made $15,000 against its $7000 - 10,000 estimate. A record for this screen print. Also a record was Bill Hammond's Singer Songwriter - not just a record for that subject but a record for a Bill Hammond edition. A Len Castle bowl went for $7,250. 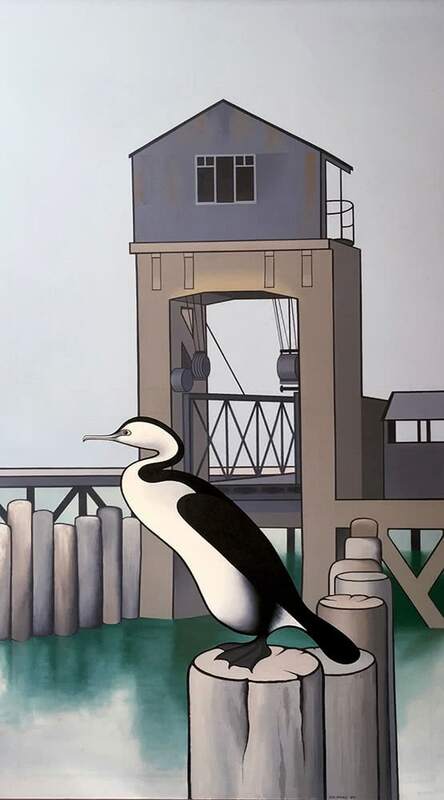 Shag and Vehicular Ferry by Don Binney, a large and impressive painting on the market for the first time since 1969, was sold for $350,000 plus bp making it over $400,000, the second highest price of the night. Felix Kelly's Lighthouse Maine attracted strong bidding and selling on the night for $36,000 just above the top estimate of $35,000. This sets a new auction record and exceeds the previous record price of $27,000 at International Art Centre a year ago. In April we achieved a record $82,500 for Karl Maughan. This week we got $40,500 for a work, probably the 3rd highest price at auction. Gottfried Lindauer's most famous painting Heeni Hirini and Child fetched $199,000 plus premium, making it a record price for a Lindauer on the New Zealand market. Graham Sydney Deborah Bay Otago Harbour estimated at $60,000 - $80,000 went for $86,000. Peter McIntyre was represented by three works in the sale and White Cliffs and the Rangtikei River was always going to be a winner, selling for $40,000, while his central North Island painting Ngauruhoe sold for $25,500. A third work Woman of Hong Kong made $6,000 post auction. 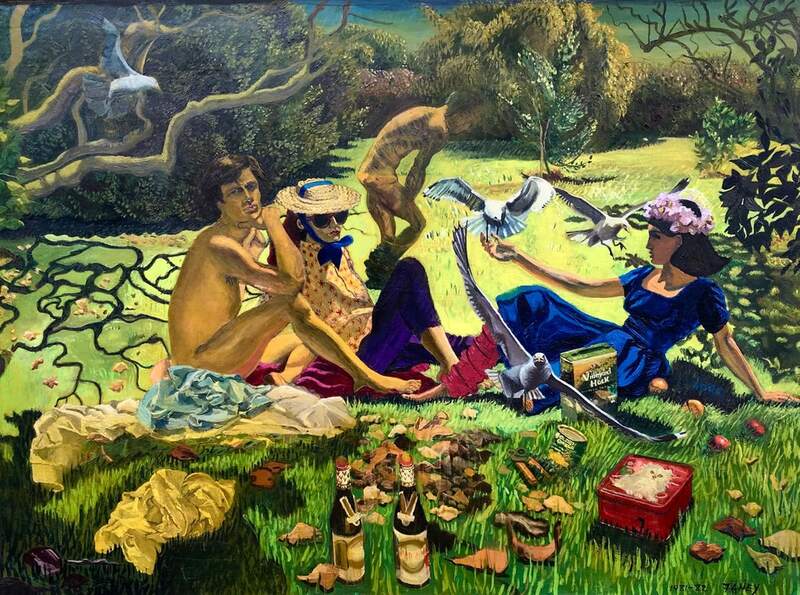 No other auction house in the world comes close to International Art Centre when it comes to Peter McIntyre - the same can be said about the works of C F Goldie. Peter Siddell Pool sold for $102,000, with an estimate of $80,000 - $120,000. A small work estimated at $7,000 - 10,000 made a whopping $20,500. Another work Eastern View went for $24,000. International Art Centre is the leading reseller for this artist too, with $191,000 being the record price achieved.